I am a member of the DAR and my patriot is John Wickham. I’ve written about him before but just to recap for new readers, John was in the French & Indian War and was recruited as a drill sergeant during the American Revolution to teach others how to fight/shoot. John was from Rhode Island originally, moved to New York when he was 8 (and where he served during the Revolution), and then moved to Ohio after the war, where he applied for a pension right before he died at 101 years old. I grew up in Ohio, nearly two hours from where John is buried in Noble County but I never knew about John until I moved to New York and my family tree exploded. Here’s part of where it gets kinda neat – I didn’t just move to New York. 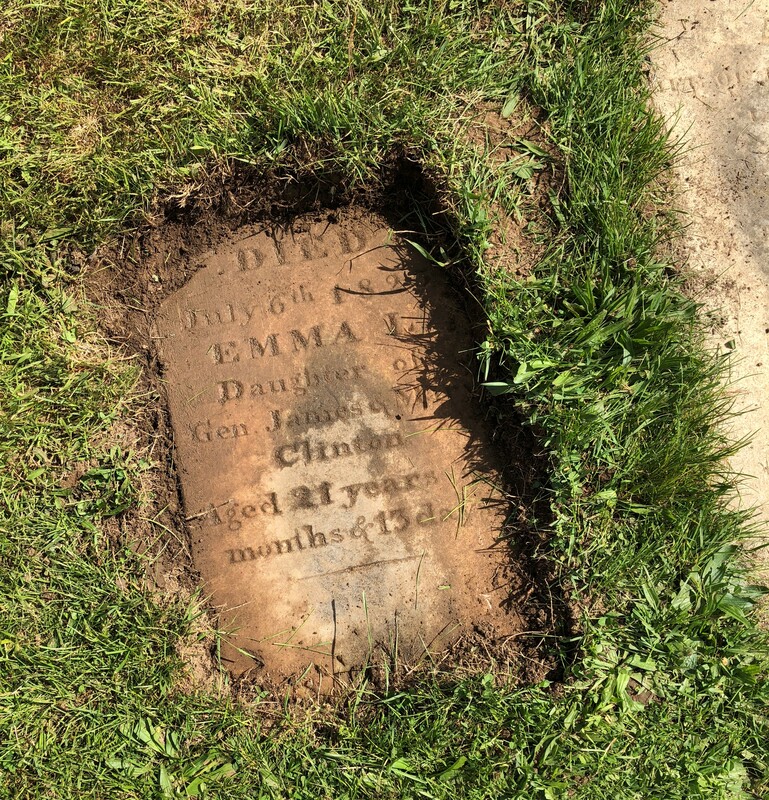 I moved right smack into the thick of where my grandfather served. My husband is stationed at the United States Military Academy at West Point which is 7 minutes and one left hand turn from Fort Montgomery where my grandfather served before it was taken by the British. I was able to go to Fort Montgomery and walk the very ground that John did and stand on the same cliff overlooking the Hudson River that he did. It was surreal, to be sure! In John’s pension file, he names those captains and generals he served under. He served under Arnold at Bemis Heights, which is super cool since I have a Woodhull family connection and if you watch the show TURN, you’ll know I’m so excited by that! Then, I somehow magically forgot who John served under. It was one of those details that just slipped my mind. (Probably because I read General Arnold and THAT’S what sticks out.) I got into the DAR some two years ago and then all those little details just faded into the back of my mind…. until today. 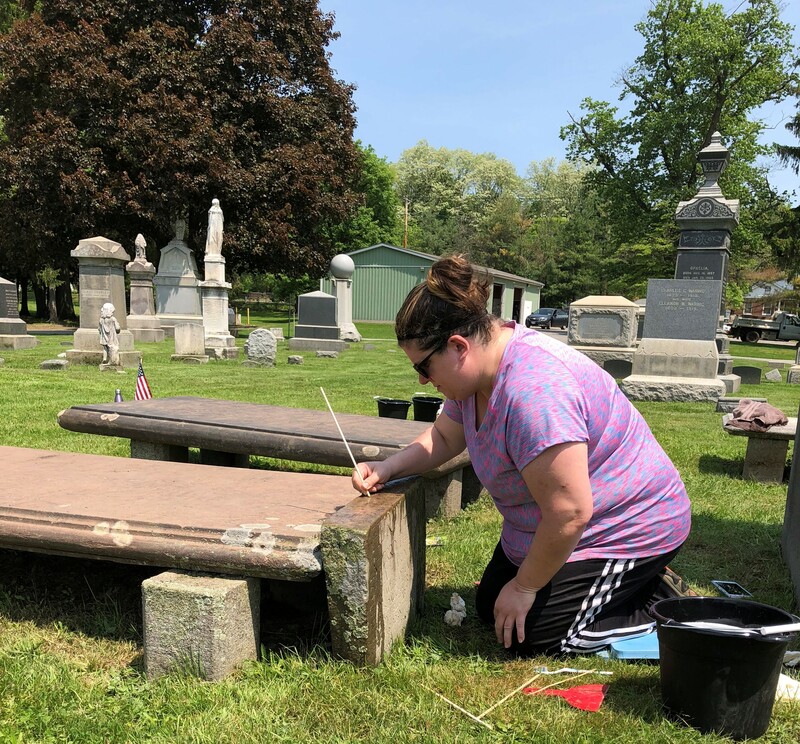 And here’s where it gets kinda funky monkey… a few months ago, my friend Colleen and I cleaned the headstones and monuments of the Clinton plot at Woodlawn Cemetery in New Windsor, NY for the town. 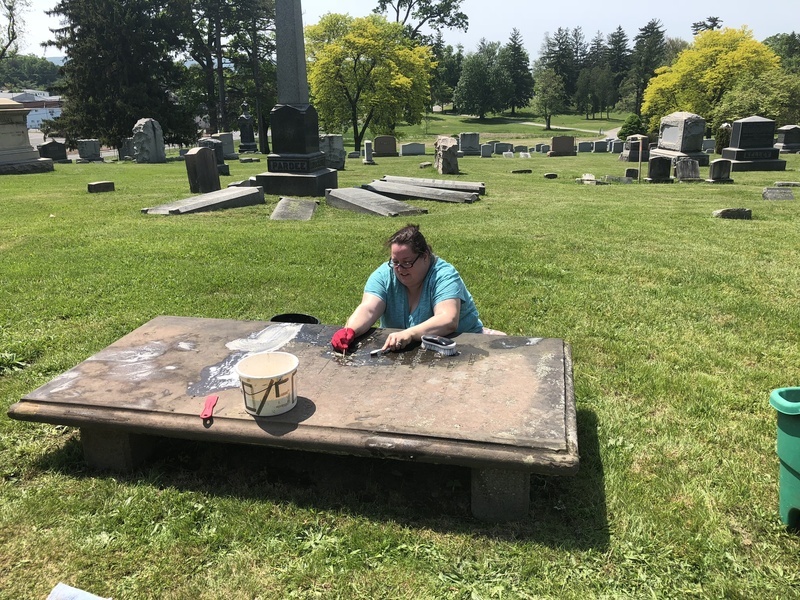 We needed practice for our headstone cleaning business and they needed a nice, clean showpiece for the cemetery since they’d just taken it over in recent months and this would prime the monuments for its grand re-opening this next spring. You may be wondering by now why this is so awesomely weird for me? It’s because of whose plot we cleaned – General James Clinton and his family. My grandfather John served under General Clinton at Fort Montgomery before it was taken by the British and it was actually General Clinton that gave him his discharge papers. (Before you history buffs point out there were, in fact, TWO Clinton generals on the American side at Forts Montgomery and Clinton -and there were- John specifically said James Clinton, not George, in his pension papers.) My grandfather served him and now I have served him in my own way, too. How round robin is that? The coincidence is just astounding to me and made those two days polishing and scrubbing those stones even more special and meaningful. Anyways, I thought perhaps you all might enjoy seeing the pictures of the stones being cleaned. They were in wretched shape and covered with lichen. 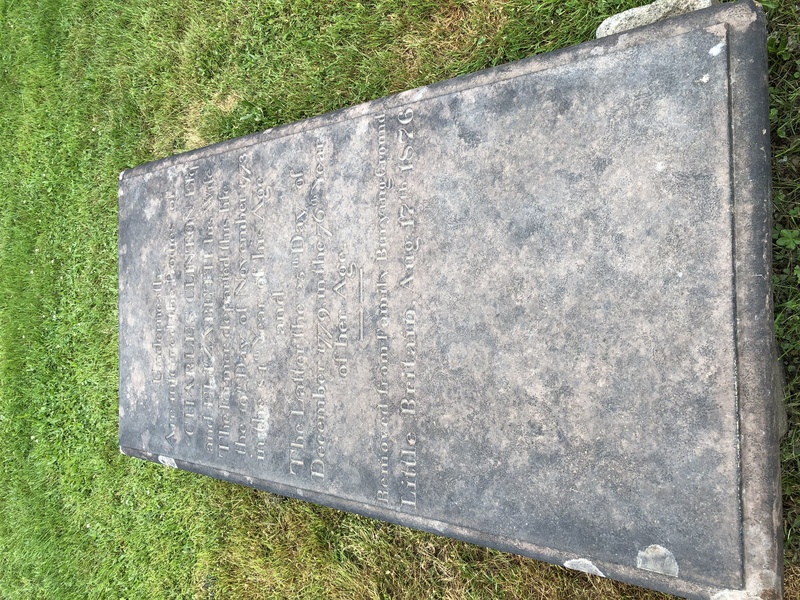 They are flat table-top stones and they are weathering terribly to where some of them are just practically illegible, James’ probably being the worst and then Mary Little Gray, one of his wives. 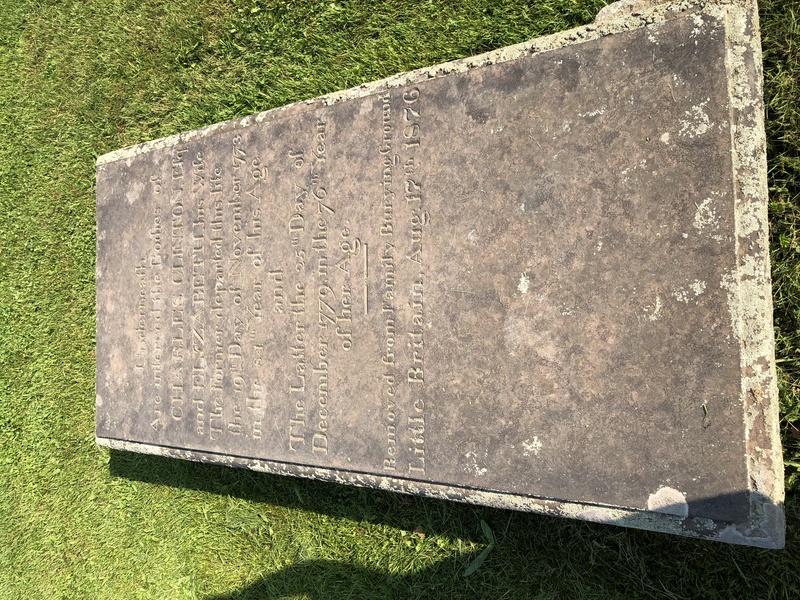 The stone of James’ sister, Catherine Clinton McClaughry , was so thick with lichen, we didn’t know there was a poem underneath the edges of the stone until it had been cleaned completely off. 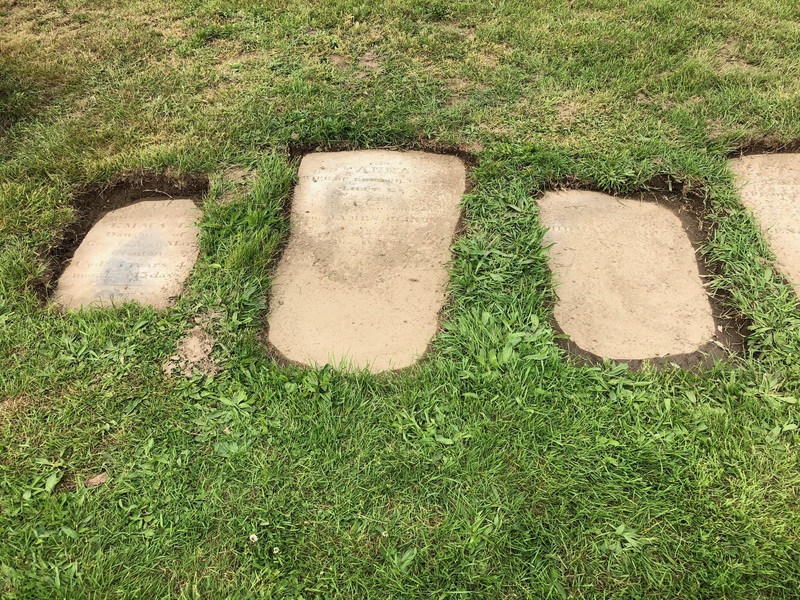 It was amazing to see the before and after on these stones and I feel completely honored to have been a part of extending James Clinton’s legacy by caring for his monument properly. I like to think my grandfather John would have been proud. 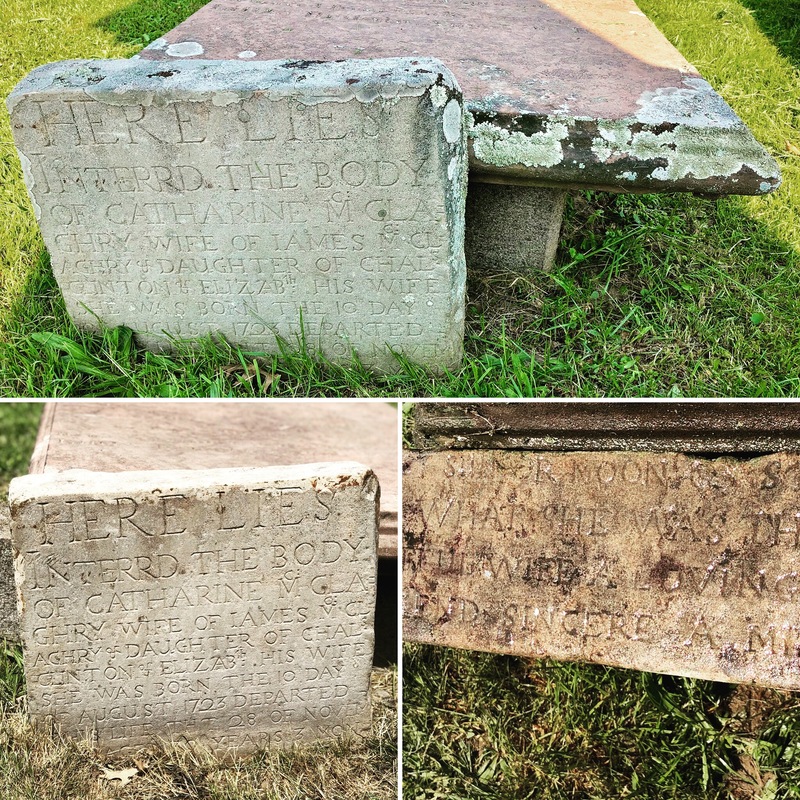 A before and after comparison of Charles & Elizabeth Clinton’s stone. 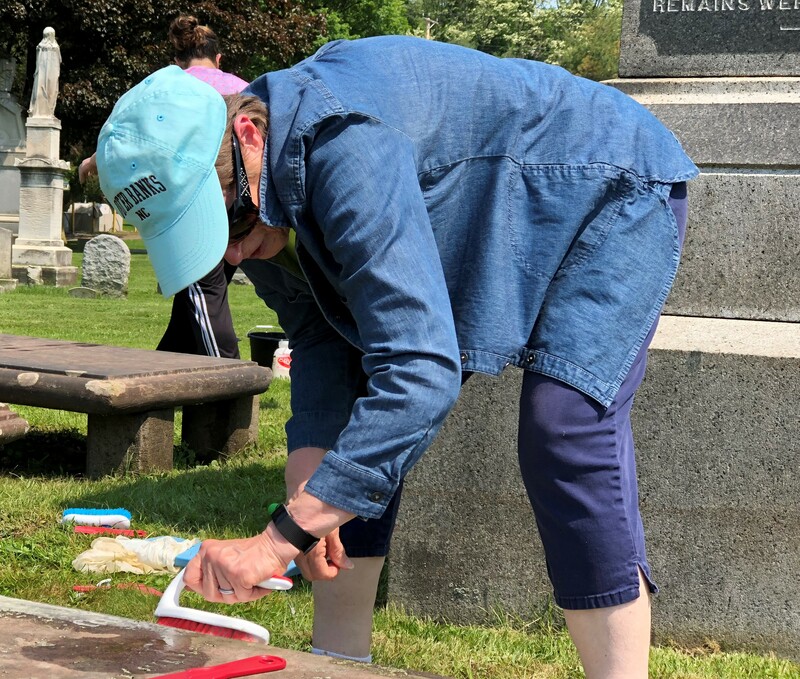 Me working on Mary DeWitt Clinton’s stone, wife of James. Colleen working on Catherine’s stone to reveal the poem hidden there. 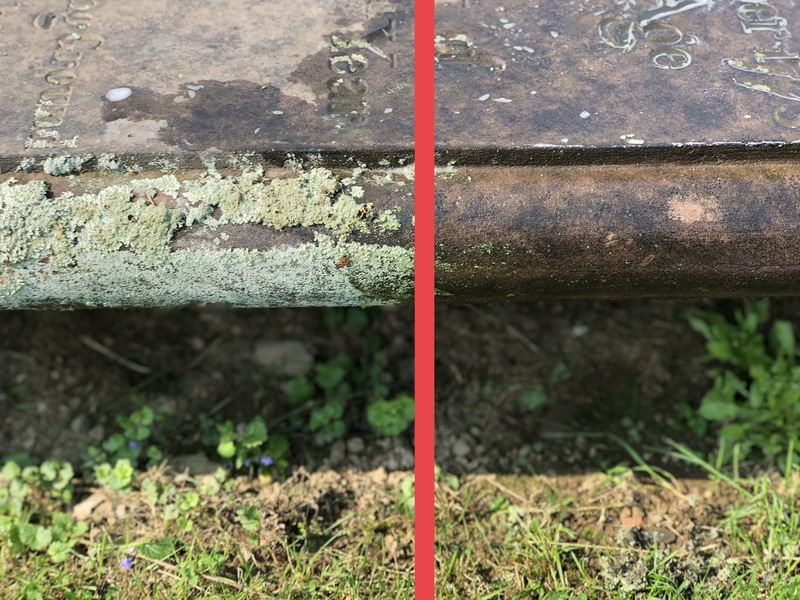 The before and after of Catherine’s stone. The big monument – before/after. Not a good after shot because it rained but these are the children’s stones we dug out. 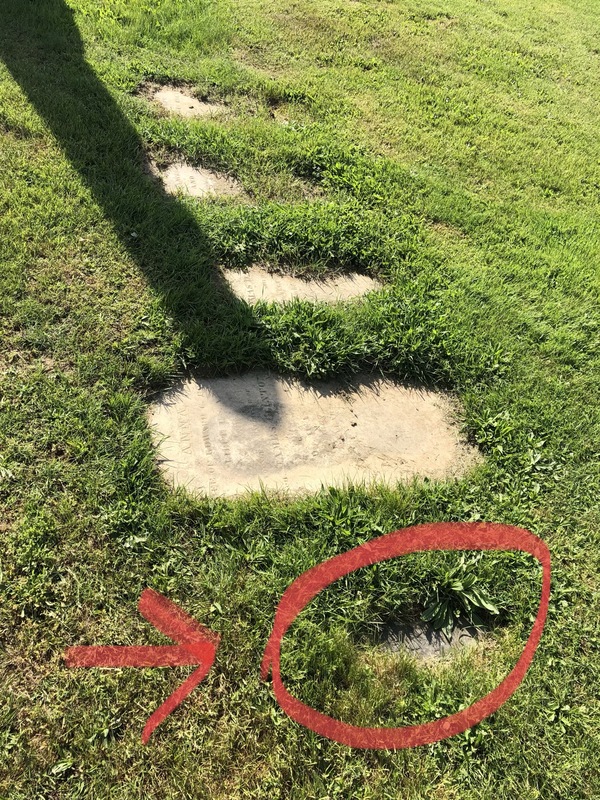 Poor Emma’s stone had sunk nearly 6 inches into the ground. 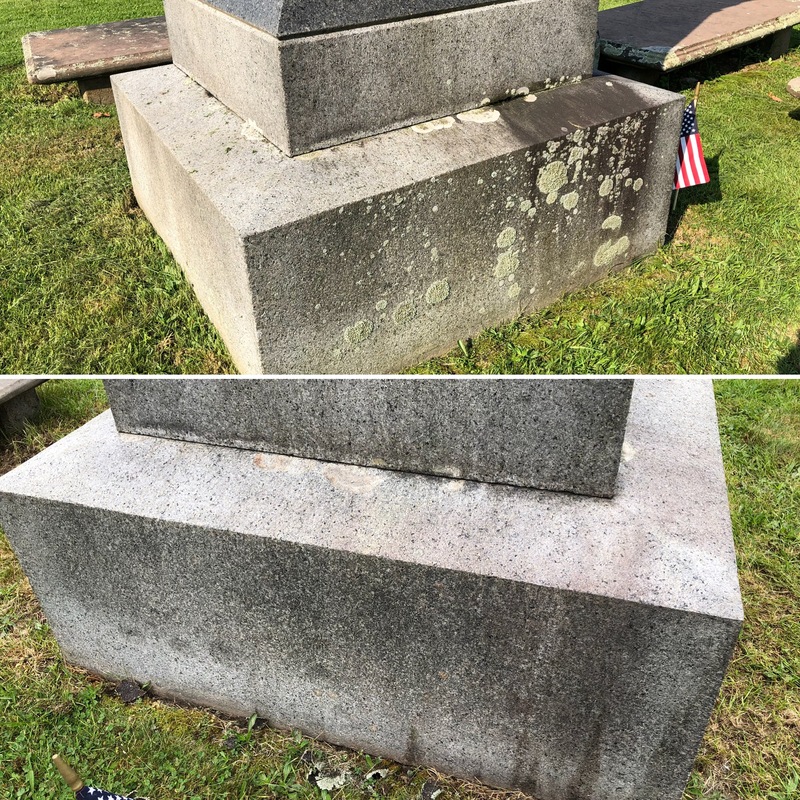 The AFTER of Charles and Elizabeth Clinton’s stone – still discolored while the biological agent is working. It will return to its rusty red color in due time. Follow up pictures later. The BEFORE of Charles and Elizabeth’s stone. The edges were particularly ripe with lichen. Nancy helping on Mary Clinton’s stone.